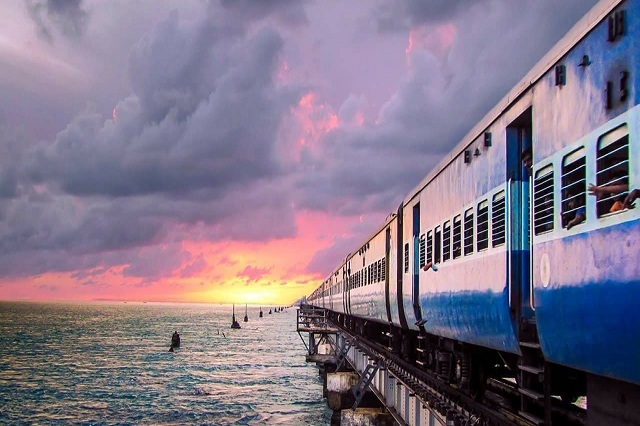 Indian Railways Minster Piyush Goyal has announced the launch of IRCTC’s (Indian Railways Catering and Tourism Corporation) two new Ramayana Circuit Trains. Ramayana is not just a holy text but a way of life for Indian society and to trace the epic journey of Lord Rama is a dream come true for pilgrims. The proposed trains to run on the circuit are named as ‘Shri Ramayana Express’ and ‘Ramayana Yatra’. These journeys are carefully planned to cover most places related to Lord Rama-from his birth, childhood, exile, war and other aspects of his life. The Ramayana Yatra train is scheduled for its first journey on August 28 from Kochuveli. The 12-day holy tour will cover Nashik Road, Chitrakoot, Allahabad, Varanasi, Darbhanga, Sitamarhi, Ayodhya, Rameshwaram and Madurai. The 16-day train tour of Shri Ramayana Express is scheduled to start operations from 14th November. The journey will start from Delhi and will cover destinations like Ayodhya, Sitamarhi, Varanasi, Allahabad, Chitrakoot, Nasik Road, Hospet, Rameshwaram, Madurai and Chennai. While the first package will range between INR 39,350 to INR 60,750 per person while the second one will charge INR 15,120 per passenger. An add-on tour, where you can travel to Sri Lanka is available with Shri Ramayana Express itinerary at an extra cost. Opt for a flight to Colombo from Chennai by paying additional charges. The 4-day tour will cover Kandy, Nuwara Eliya, Colombo and Negombo in Sri Lanka and is priced at INR 36,200. The Sri Lanka Ramayana journey comprise visit to the Ashok Vatika (Hakkagala Botanical Garden), prayers at ancient temples of Munneshwari, Munnawaram and Hanuman Temple, tours of tea gardens, cities and visit to an elephant orphanage. Very soon the official website of IRCTC will offer online booking for the Shri Ramayana Express. There are 800 seats in standard category. The packages include travel, accommodation, food and sightseeing arrangements.